A really lovely cheap and cheerful game from the 70s or early 80s I guess. Colourful and all about the bright colours. 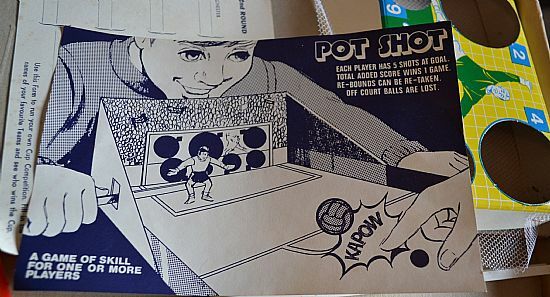 Very weird type of game cobbled together, possibly a fair ground prize or a local discount store game. Bright and attractive lid design sadly uses the very unfashionable and unappealing kit of red shirts with white sleeves. 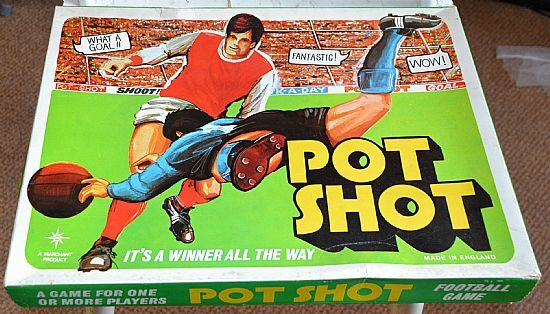 No successful modern team uses that kit design at the moment. 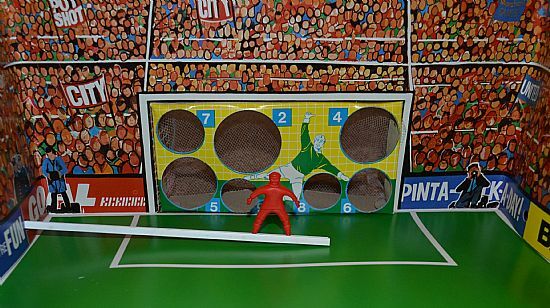 Large stadium card area plus goal with target holes. The keeper also helped out on the donut and pie stalls in his spare time. 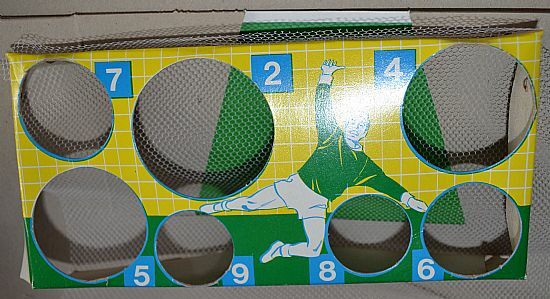 Nice goal with stapled netting on the back to save those pile drivers. 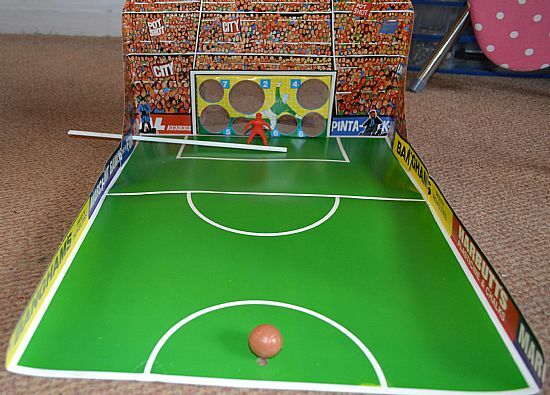 Flick the ball at the goal and score by going through a target hole. Use the fat keeper to try and save the shots.